Tempspence was an obscure British poet. 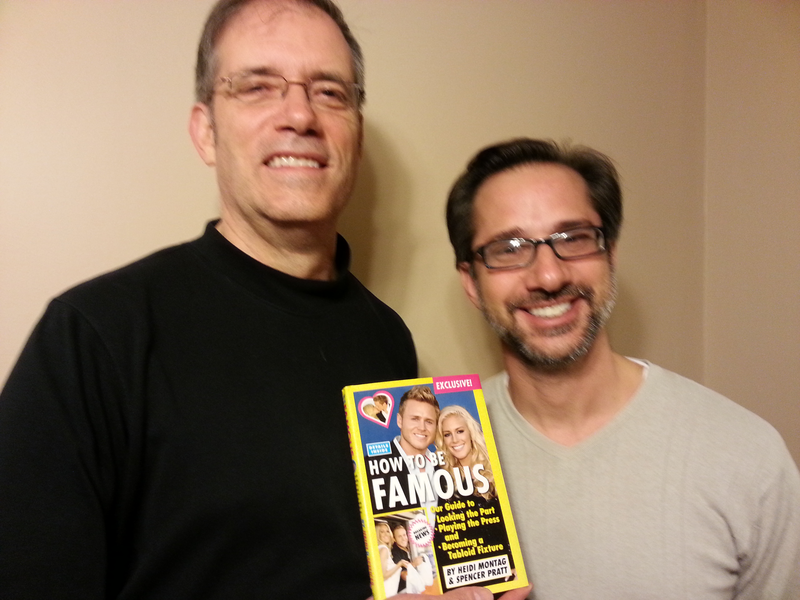 When he "found" Spencer Pratt's phone, he inherited Spencer's 1 million Twitter followers. Spencer Pratt starred on the TV series The Hills. For 3 Weeks he lived in the Celebrity Big Brother UK House. Spencer lost his phone and his 1 million Twitter followers. 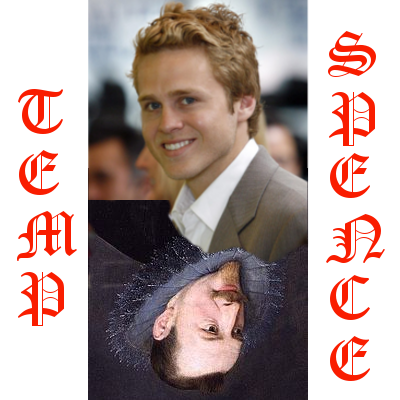 Tempspence was a fiction, created by Mark C Marino and Rob Wittig in collusion with Spencer Pratt. It was a meditation on who we are, the realities we perform, and the imagined realities about which we dream. @Reality: Being Spencer Pratt was a netprov, or online improvised narrative, in which a fictional obscure British poet found Spencer Pratt's smartphone and began Tweeting (or posting on Twitter) from his account. Created by Mark C. Marino and Rob Wittig in collusion with Spencer Pratt and Heidi Montag (aka Speidi), the project lasted approximately 4 weeks and contained several thousand Tweets. The community of players who joined the poetry games, later dubbed the Tempspence Poets, were followers of Spencer's Twitter account from around the world who decided to play along. Though Spencer Pratt has over 1 million followers, there were a handful of dedicated players who showed up each day to play the new poetry games, specifically: Ian Clarkson, Sarah-Anne Joulie, Paula Sawyers, and Chloe Smith. Netprov artists Rob Wittig and Mark C. Marino collaborated with these creative Tweeters, albeit from behind the mask of @tempspence within the account of @Spencerpratt. Over the course of 3 weeks, Tempspence generated hundreds of Tweets. Read from the beginning to watch this obscure poet go from pretending to be Spencer, then trying to sell his phone, to revealing himself and the saga of his life. Throughout the netprov, Temspence played games inspired by the surrealists and Oulipo, engaging with the followers of @spencerpratt. The group of followers who regularly played these games were later known as the Tempspence Poets. Netprov, or online improvised narrative, is an emerging art practice theorized first by Rob Wittig. This genre draws upon varied traditions, from surrealist art games like the ones used in Reality to the improvisational play of role-playing games and theatrical performance. The result is a rapid-paced, wildly creative new genre that offers the everyday artist a chance to join in collaborative creation in the midst of their daily activities, whether chained to a cubicle or lapping up lyric poems in the library. In the wake of a television writer’s strike in 2007-2008, American television producers created an increasing number of programs in a pseudo-documentary format starring pseudo-ordinary people. The formats varied. Some were contests that pitted people against each other in vaguely athletic and very photogenic activities in a tournament. Some were talent shows that relied on audience voting through telephone networks at a dollar per vote. Some threw strangers together to live in the same house or apartment and filmed their arguments and romances. Some focused on the daily lives of a single family that either was already famous or would soon become so. Some challenged a single man or woman to choose among a bevy of contenders in a slow elimination process to find their one true love. Others, like The Hills, which brought Spencer and Heidi to prominence, appeared to offer simply groups of friends going through adolescent rites of passage in exotic and wealthy locales. In all of these formats, the goal was to manufacture situations that caused the subjects to cry, to betray one another, or to conduct screaming arguments on camera. A certain number of the seemingly random, but actually carefully cast players in these reality shows became quite famous, achieving a celebrity on a par with conventional star actors who had gone through traditional theatrical training. The one commonality shared by all of these shows was they were painstakingly planned and strategized, cleverly edited, and, in some cases, actually scripted by their producers. The off-the-cuff, documentary quality that seemed authentic compared to traditional scripted dramas, was an illusion.